Composite restorations not only help restore decaying teeth back to their normal function, but they also prevent further decay from occurring. If you're looking for a composite restoration, pick a dentist with nearly two decades of experience: Dr. Kainaz Byramjee at K.B. Family Dental in Renton, Washington. She uses the latest and newest equipment when fixing your teeth with composite restorations. To receive prompt care in a comfortable environment, call or make an appointment online with Dr. Byramjee today. Composite restorations are a mixture of plastic and fine glass particles used for both small and large fillings. They work on both front and back teeth and only require one appointment for installation. They're even perfect for chips, gaps, and stains. Composite restorations bond directly with your teeth and withstand moderate pressure from the constant stress of chewing. That means they're resistant to fractures when used in small- to mid-sized fillings. Composite restorations are a minimally invasive and inexpensive bonding option. When used for bonding, composite restorations are shaped and molded to your teeth to give you the appearance of having a straighter, whiter smile. How are composite restorations performed? Composite restorations require Dr. Byramjee to remove some surface enamel from the tooth that requires filling or bonding. That allows her to best shape the composite resin to your tooth. Once the composite resin is applied, the next step is the application of the bonding agent. 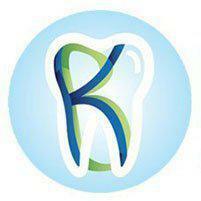 The bonding process associated with composite restorations holds the resin in the tooth. Dr. Byramjee finishes the composite restoration by curing the tooth with a special light and polishing your teeth. Why choose composite restorations over amalgam fillings? When it comes to dental fillings, the best ones are the ones you don’t need. Therefore, prevention is the best medicine. To decrease your risk of cavities and other dental issues that require the use of composite restorations, be sure to brush your teeth at least twice a day, floss daily, and eat a well-balanced diet. To get a composite restoration appointment promptly and in an office that aims to decrease dental anxiety, call or make an appointment online today with Dr. Byramjee at K.B. Family Dental in Renton, Washington.